A stylish deck mounted basin tap with contemporary crossheads. 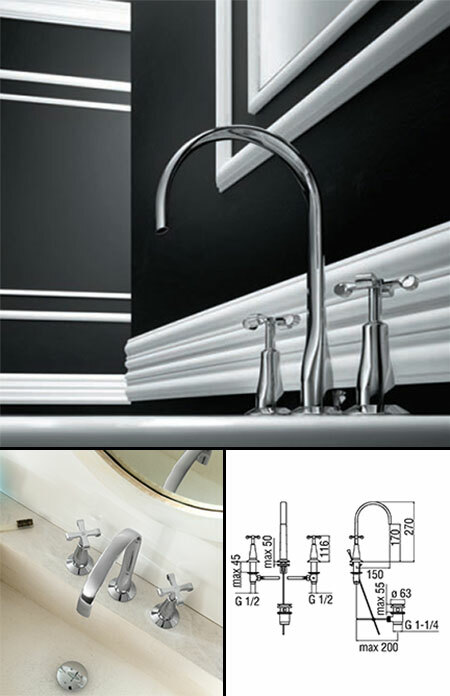 This 3 piece tap set is the latest in Italian styling and is high quality European manufactured. Ideal styling choice for both traditional bathrooms and classically contemporary bathroom design.